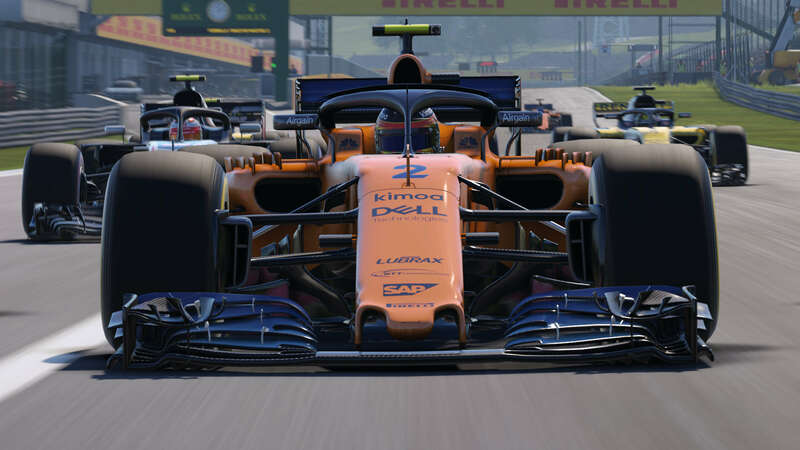 Following last year’s smashing success with F1 2017, Codemasters looks to take the series even higher with its latest edition, F1 2018. 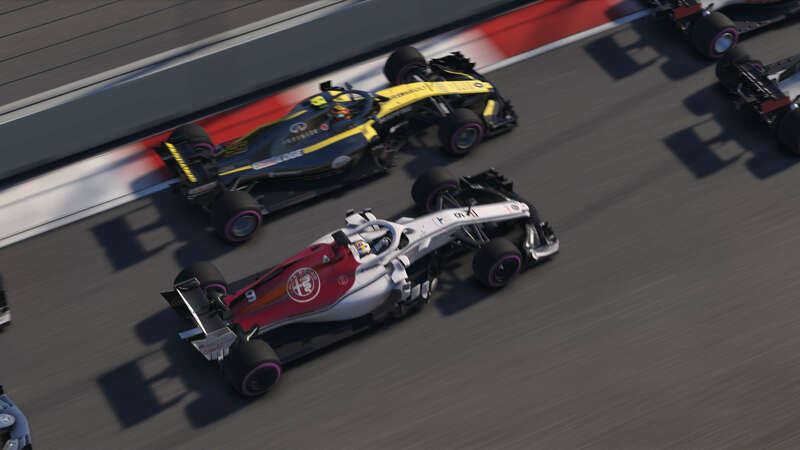 There is always the danger that tinkering to improve a formula even slightly could lead to a bit of a slide, but thankfully that is not the case here — F1 2018 managed to improve on last year’s impressive offering. If you weren’t convinced last time, you should be now. This game is legit. Now, before we dig in, let me just state that whilst playing I tested out both ends of the spectrum when it comes to racing games: from a force-feedback (FFB) wheel all the way to an Xbox Controller; from no assists on expert settings to ‘what do mean, I have to brake?’. Why bother with this sort of disclaimer? Simple: inevitably every time I check out a racing game this comes up, so I make sure to check things out on its most ‘sim’ setting as well as its most ‘arcade’ settings. The only remaining option is mouse and keyboard. Now I appreciate if you still want to play that way, but in 2018 there are probably fewer players playing that way then there are playing with a fully decked-out setup. The last racing game I played that particular way was Papyrus’ excellent Indianapolis 500 back in 1989. Enough of the preamble — let’s get to racing! Let’s start with what is probably the crown jewel of F1 2018: the career mode. This is an area where a lot of the more sim-focused titles have been lacking pretty severely of late. It has just about everything you could think of: contracts, storyline, R&D, media relations, rivals and, oh yeah, racing. In an era where everything seems to be far more multiplayer focused, such depth for single-player is a breath of fresh air. Yes, this was a big part of last year’s edition, but it has been refined even more. Off-track, you’d better be prepared to deal with the press. There seems to be a much bigger focus on driver personality and how you respond will paint you as a Sportsman or a Showman. Just like a real interview, you’re not going to have all day to sit and think about the answers, either. While indeed being more authentic, I did feel it could have done with a little more time as often I was very nearly at the end of the time limit after reading all the options, forcing a rather quicker decision than maybe I would have liked. While this is, more than likely, exactly the point, a few seconds extra on that time would really be appreciated from some of the slower readers out there. The relationship/attitude aspect isn’t the only thing to see some changes — the R&D tree has seen some tinkering as well. The tree now has a bit of fog ‘o war to it so that clear paths to the ‘best’ upgrades down the tree aren’t as apparent from the start. Possibly an even bigger change is that later on in the season, you can choose to bank research points for the next year. Why would you do that? Oh, at the end of a season they just might change the rules on you, nullifying some hard work. No more static, ‘these teams are the best and always will be the best no matter what’. What it leads to is much more than just a career, but a dynamic campaign, if you will. Overall, the career mode is an incredible experience. It’s about as comprehensive as it comes. But while I’ve covered mostly off-the-track aspects to this point, it’s time to switch gears (pun not intentional) and head to the track. Somewhat obviously, none of that other stuff is going matter if the actual racing and feel of the cars doesn’t add up. So let’s attack this from the two different styles: Sim and Arcade. My weapon of choice is the Thrustmaster t300rs. Certainly not the highest of ends, but still a solid FFB wheel. Now, if you are playing with any FFB wheel you already know that there will be tinkering involved to get it to your own preferences. Once you do get it dialled in. though, it has some solid effects and the feeling of being in the car. There is some other good news, as well: even with all assists off, some games can still appear as if there are some unknown forces keeping you in place, no matter how many settings you turn to off. This does not seem to be the case here. Step out of line and put your back end out and you will pay the price. No, I have never driven an F1 car, so I can’t say with 100% accuracy that that is exactly correct, but nothing seems odd or out of place while driving. Track conditions during different types of weather really change the handling., but there is one area that seems to always be in contention when it comes to any kind of simulation, and that is tires. That conversation, however, is one I’m going to graciously bow out of, as it never seems to come to any kind of consensus — but, for what it’s worth, I also didn’t notice anything ‘wrong’ jumping out at me here. I know the label ‘simcade’ gets tossed around quite a bit these days, but if it were a scale, F1 2018 is much closer to a sim than simcade. Ok, now let’s try to forget those fancy wheels for a minute and check out some regular old play with a gamepad. I’m going to start by recommending that you’ll to want at least some of those assists on. I spent my time with the second-lowest preset for use with an Xbox 360 controller. Is the car driveable with a regular controller? Yes, although you may need to really adjust opponent difficulty to keep things competitive while still having the gamepad as a viable option. So don’t worry, you really aren’t going to need a fancy wheel to enjoy this title. Can both styles really co-exist? Simply put, yes. To put things into perspective, let’s look at Dirt 4 for a second. There were a fair number of Dirt Rally fans who were disappointed that Dirt 4 didn’t feel as difficult. On the flip-side, those who did not like Dirt Rally’s punishing difficulty enjoy Dirt 4 a lot more. Of course, there was an honest attempt to keep both fans of Dirt Rally and the numbered Dirt series entries happy with Dirt 4, but trying to marry the two extremes didn’t exactly please everyone. No surprise there, but why bring it up? Because F1 2018 really does seem to cater to both successfully. Now for the second year in a row, we’ve got another great title — if you’ve been turning your nose up at it because of the names attached, you really need to give it a try and reconsider that position. I do hate to seemingly gloss over what amounts a whole lot of content I haven’t mentioned up to this point, but I’d like to keep this review shorter than a novel. If the career isn’t your thing, there are just straight-up championships — plural. Very, very, very plural. There are more enough different types and time periods to keep one busy for a while. Events are also available. I tried my hand at them with the wheel on Expert. I finished, but not in the right position, so no score for me. But looking through the scores of those who did complete the event with all parameters met, there may need to be a scoring tweak, but that will be more apparent when more people put scores up. 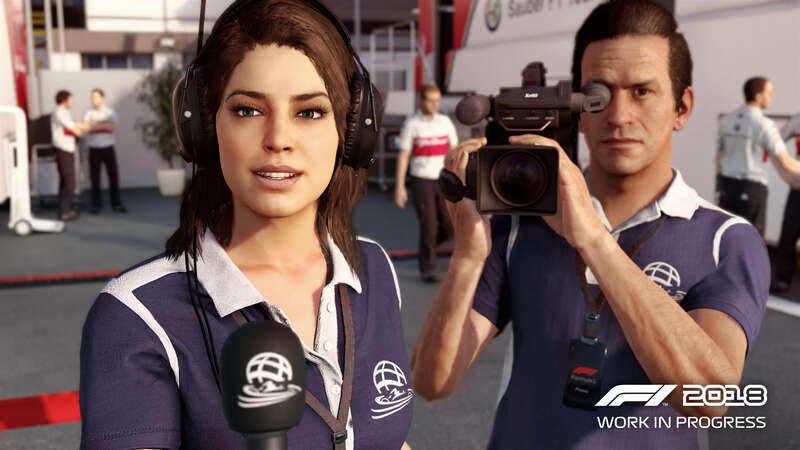 That’s not all but, long story short, F1 2018 has got something for everyone and then some. Let’s wrap this up, shall we? Last year’s title was a highly rated success. This year’s version has managed to improve on that. 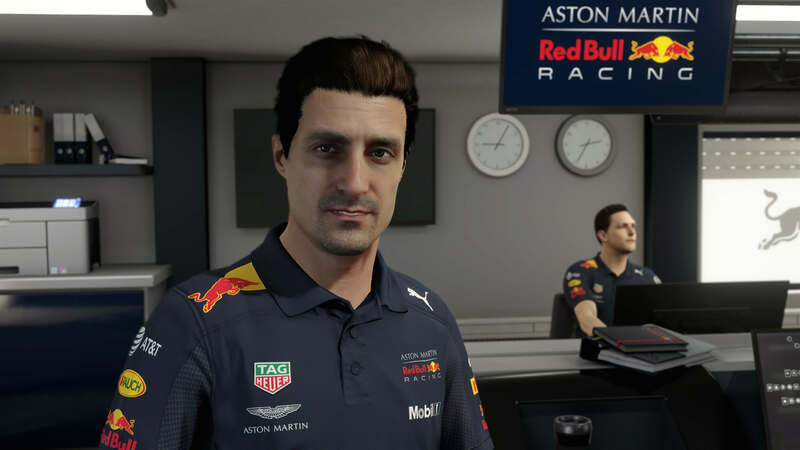 If you’ve been finding reasons to not get F1 2018, you need to stop now. It is absolutely a racing title you need to own. There aren’t any contemporary racing games with a career mode that even comes the slightest bit close to this. Oh yeah, and it drives excellent, too. Go out and get it now — you’ll be happy you did. "Experienced" gamer who's only looking for some fun. Likes: Just about everything. Dislikes: Anything Zombie related. Swipe right, you know you want to.